It’s February, and chances are, you’re rethinking your resolution to make the best of your current job. You’ve given it your all, but unfortunately, a few things keep sticking out to you like a sore thumb. Here are the top five signs you need a new job. 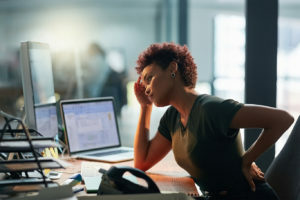 Is work causing you to lose sleep? If so, you may have a major case of burnout. 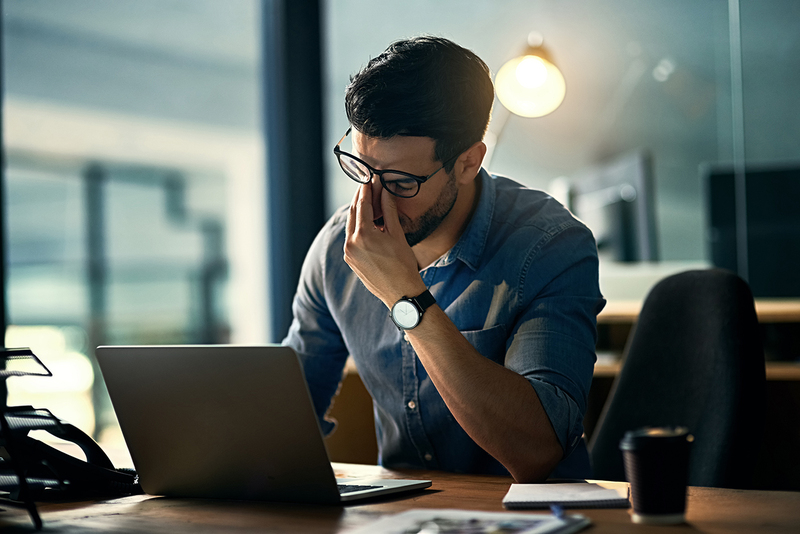 According to a 2017 Society of Human Resource Management (SHRM) article, employee burnout has reached record levels, and it’s sabotaging workplace retention. At NMA, we value our employees and understand the significant impact that burnout may have on company culture. As a result, we work insanely hard to empower our employees and maintain a positive culture with numerous recharging activities and initiatives each month. We also maintain a transparent workplace where employees feel comfortable talking to their peers and supervisors. When was the last time your boss told you that you were amazing or publicly acknowledged you for your stellar performance? Drawing a blank? Ouch. Employees should never feel under-appreciated. Hard work deserves praise — both in public and in private. NMA recognizes that our people are our greatest asset. So, we show them our appreciation every chance we get. We provide constructive feedback and praise continuously, as well as other tokens of appreciation. Free Super Bowl tickets? Of course. Random gift card giveaways? You got it. From potlucks [insert potluck blog link upon publishing] to other exciting events and celebrations, we let our employees know we care. Do you feel safe in your current work environment? Is diversity celebrated at your company? If you answered no to any of these questions, we encourage you to explore NMA’s Careers page to pursue more meaningful opportunities. NMA boasts an extremely diverse workforce—at all levels—and is a champion of inclusion. Our commitment to diversity starts at the top with CEO, Heather Petersen, and continues downward throughout all departments. Are you stuck in a dead-end job? If your company isn’t growing, chances are, you aren’t either. According to a 2014 Forbes article, employees are motivated by four key types of growth: financial, career, professional, and personal. Your current position should afford you the opportunity to grow in at least one of these areas. If not, you may be more likely to burn out, and you may harm your market value in the long run. Don’t let that happen. Make your way to NMA. We know that opportunities for growth and development are crucial for a vibrant workforce, so we create new opportunities as often as possible. Unfortunately, workplace hostility is still an issue at companies across the country. More and more employees are fleeing workplaces in search of tranquility, and rightfully so. After all, employees are the greatest assets of the companies they serve, so being treated as anything less can be quite alarming. At NMA, we have no tolerance for workplace hostility or various forms of harassment. We expect all team members to uphold our core values and treat everyone with the utmost respect. Additionally, we have implemented several channels within our company to ensure that all voices are heard at all times. All issues are addressed and rectified immediately upon discovery/notification. If you’re tired of experiencing one or more of the signs above, and are interested in building your career with one of America’s Fastest-Growing Private Companies, visit our Careers Page today. We’re hiring professionals at all levels and offer a competitive compensation package with 100-percent, employer-paid health insurance. Apply for your dream job today and discover why National Merchants Association specializes in payments (and employment) made personal.